Lanigan was born in Ogallala, Nebraska in 1943. While in high school, he was a DJ at his high school's radio station. Throughout the 1960s, Lanigan bounced between jobs in Denver, Colorado Springs (at one point working in both cities simultaneously - Colorado Springs during the day, and Denver at night), Albuquerque, NM, and Dallas. In 1971, Lanigan came to Cleveland to become the morning host at WGAR (1220 AM) as a replacement for Don Imus. With his outspoken style, Lanigan would quickly become a popular (and controversial) personality in Cleveland. John did his last show on WGAR February 9, 1984, after which he left Cleveland for a brief stint in Tampa, Florida. Lanigan would return to Cleveland in 1985, becoming host of The Lanigan and Webster Show on WMJI FM 105.7 with veteran Cleveland radio voice John Webster. Lanigan's popularity in Cleveland helped raise the profile of WMJI, leading to the station winning five National Association of Broadcasters Marconi Awards during his tenure (Large Market Station of the Year in 1998 and 2003, and Oldies Station of the Year in 2002, 2004, and 2006). 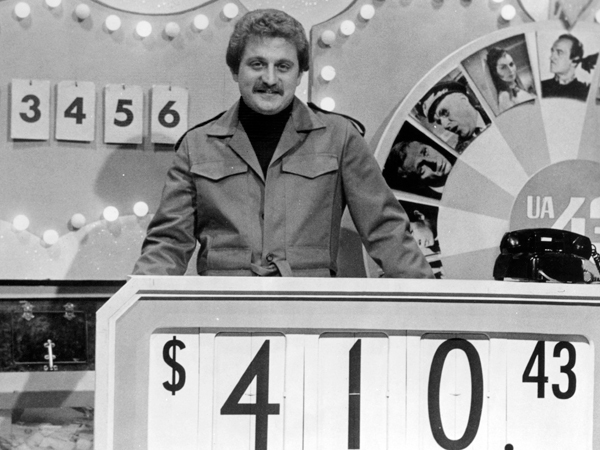 Lanigan also is well known in Cleveland for his television work, as in conjunction with his radio shows, he was host of the daily afternoon Prize Movie on WUAB channel 43 during the '70s through the early '90s (with a hiatus when he was in Tampa). During his show on July 20, 2012, as the news was breaking about the Aurora theater shootings, Lanigan reported that it was his son Jad, a Lieutenant in the Aurora, Colorado police department, who arrested the shooter James Holmes. In November 2013, Lanigan was inducted into the National Radio Hall of Fame at a ceremony in Chicago. Lanigan was honored on March 29, 2014 during the 2014 "Majic" Moondog Coronation Ball concert at Quicken Loans Arena. During the event, Lanigan was awarded with an official proclamation from the city of Cleveland, honoring his radio career and efforts in promoting the city. Lanigan's last show was on March 31, 2014, when he officially retired. In retirement, Lanigan stated that he plans to split his time between his homes in Colorado and Florida. In late 2014, Lanigan made somewhat of a comeback to Cleveland radio, becoming a co-host alongside Mike Trivisonno on The Spew, a daily hour-long debate program on WMJI sister station WTAM AM 1100. On August 8, 2018, Lanigan abruptly announced on air during a Spew broadcast that he was retiring from the show and radio entirely effective immediately, citing a lack of interest in the show's usual topics (politics, current events, Cleveland sports), not feeling qualified to give his opinions on such topics, and an overall lack of enjoyment doing the show. Lanigan, John; Jedick, Peter; Olszewski, Mike (2017). Lanigan in the Morning: My Life in Radio. Cleveland, Ohio: Gray & Company. ISBN 978-1-938441-93-6. ^ "Lanigan bio". Online Publishing. Retrieved 2014-04-25. ^ a b c "Lanigan inducted in National Radio HOF". National Radio Hall of Fame. Retrieved 2014-04-25. ^ "Lanigan's radio stops". Tedd Webb. Retrieved 2014-04-25. ^ "WMJI Marconis". National Association of Broadcasters. Retrieved 2014-04-25. ^ "Lanigan hosting "The Prize Movie" in the '70s". Cleveland Magazine. Archived from the original on 2014-01-02. Retrieved 2014-04-25. ^ "Lanigan hosting the "Prize Movie in the '80s". YouTube. Retrieved 2014-04-25. ^ "Lanigan's son arresting officer in Colorado shootings". WJW-TV. Retrieved 2014-04-25. ^ "Lanigan's retirement announcement". Radio Insight. Retrieved 2014-04-25. ^ a b "Lanigan's proclamation". WTAM. Retrieved 2014-04-25. ^ "Lanigan's retirement plans". Akron Beacon Journal. Retrieved 2014-04-25. ^ "The Spew". WTAM. Retrieved 2014-12-05. ^ Morona, Joey (August 10, 2018). "Cleveland radio legend John Lanigan ups and quits in the middle of his show on WTAM". Cleveland.com. Retrieved August 10, 2018. ^ "Lanigan inducted into Ohio Broadcasters HOF". Ohio Broadcasters Hall of Fame. Archived from the original on 2014-01-02. Retrieved 2014-04-25. ^ "Lanigan inducted into Cleveland Broadcasters HOF". Cleveland Broadcasters Hall of Fame. Retrieved 2014-04-25. ^ "Lanigan and Malone win Marconi Award". National Association of Broadcasters. Retrieved 2014-04-25. ^ "Lanigan wins Humanitarian Award". WMJI. Archived from the original on 2014-01-02. Retrieved 2014-04-25. ^ "Lanigan wins Humanitarian Award". Our Lady of the Wayside. Archived from the original on 2013-03-23. Retrieved 2014-04-25. ^ "Around Town Nov. 5, 2012". Cleveland Plain Dealer. Retrieved 2014-04-25. ^ "Starlight Award Winners". WEWS. Retrieved 2014-04-25. ^ "Lanigan going into National Radio HOF". WTAM. Retrieved 2014-04-25.